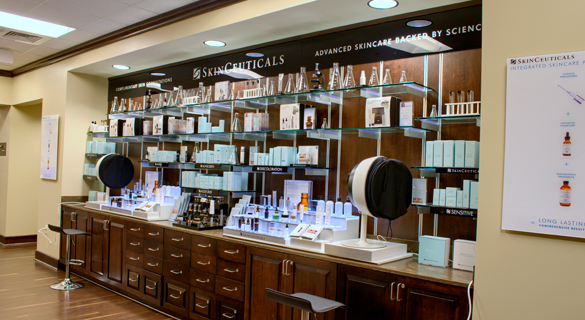 Our mission at Advanced Dermatology and Skin Care Centre is to enhance overall skin health both in general and cosmetic dermatology in a compassionate and comfortable environment. Offering advanced skincare backed by science, dermal injectables, and cutting edge laser technology in a compassionate and comfortable environment. Dr. Thomas Bender, MD, FAAD, ABD, Dr. Ronald Johnston, MD, FAAD, ABD, Dr. Alan Stanford, MD, FAAD, ABD, FACMS, Dr. Virginia Reeder, MD, FAAD, ABD, Dr. William Henghold, MD, FACMS, FAAD, Dr. James Wharton, MD, FAAD, ASMS, and Dr. Cary Dunn, MD, FAAD, FACMS are double board certified physicians and specialists in skin cancer, psoriasis, hair loss, acne and more.